What is meditation? Why practice it? Which techniques are best? How do I do it? The answers to these often-asked questions are contained in this down-to-earth book, making it of enormous value for anyone who wishes to begin and maintain a meditation practice. 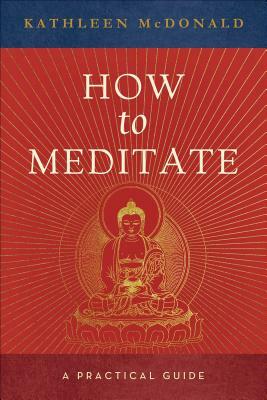 Written by a Western Buddhist nun with solid experience in both the practice and teaching of meditation, How to Meditate contains a wealth of practical advice on a variety of authentic techniques, from what to do with our minds, to how to sit, to visualizations and other traditional practices. Best of all, McDonald's approach is warm and encouraging. The next best thing to personal instruction. Kathleen McDonald (Sangye Khadro) was ordained as a Tibetan Buddhist nun in 1974. She is a respected and inspiring teacher in the Foundation for the Preservation of the Mahayana Tradition, a worldwide organization of Buddhist teaching and meditation centers.